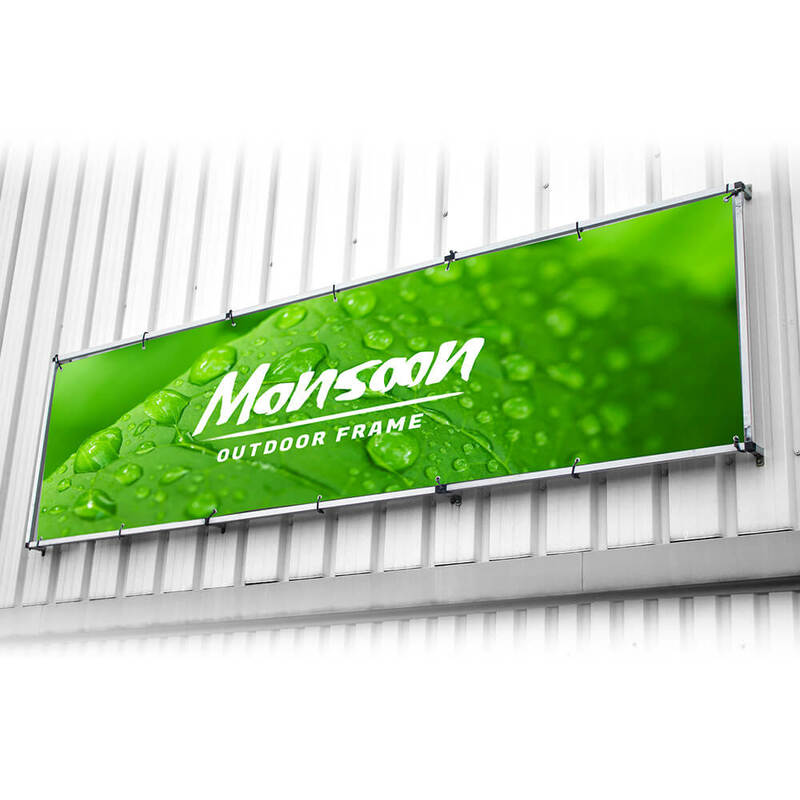 Wall-mounted banner frame system with easy push-fit assembly. A strong sturdy long term solution for your outdoor or indoor promotional needs. Graphic is secured with looped bungees.